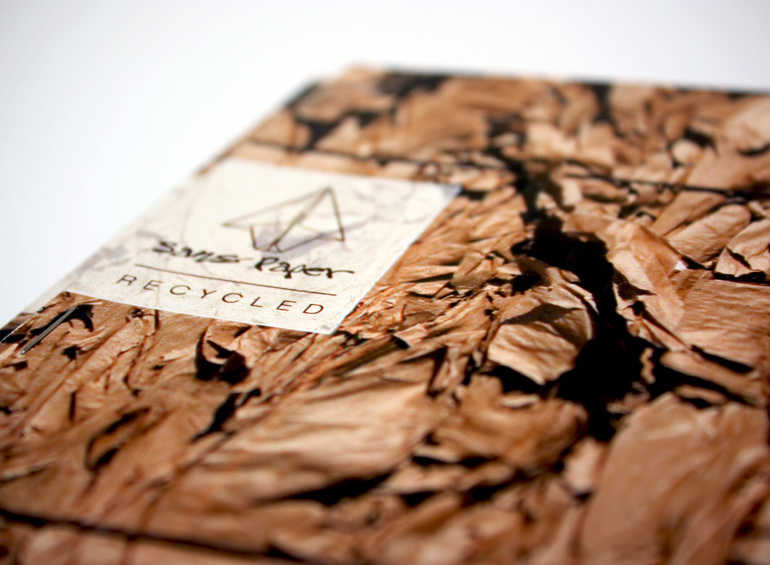 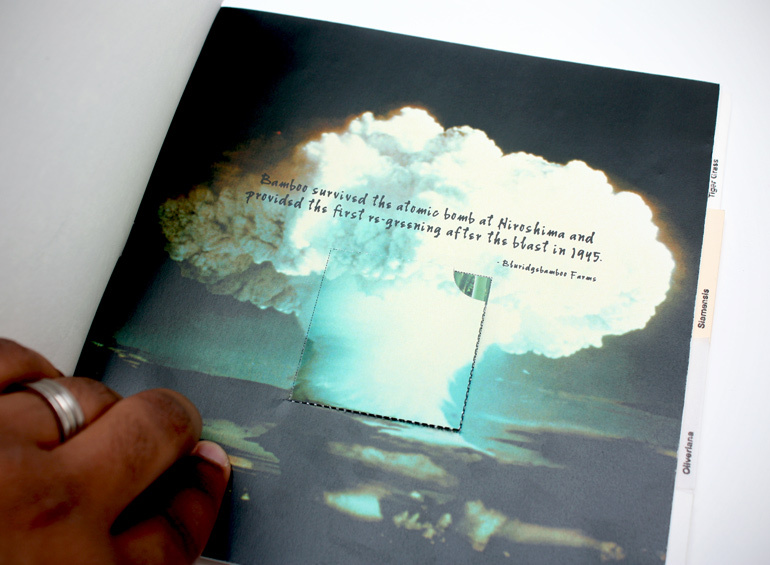 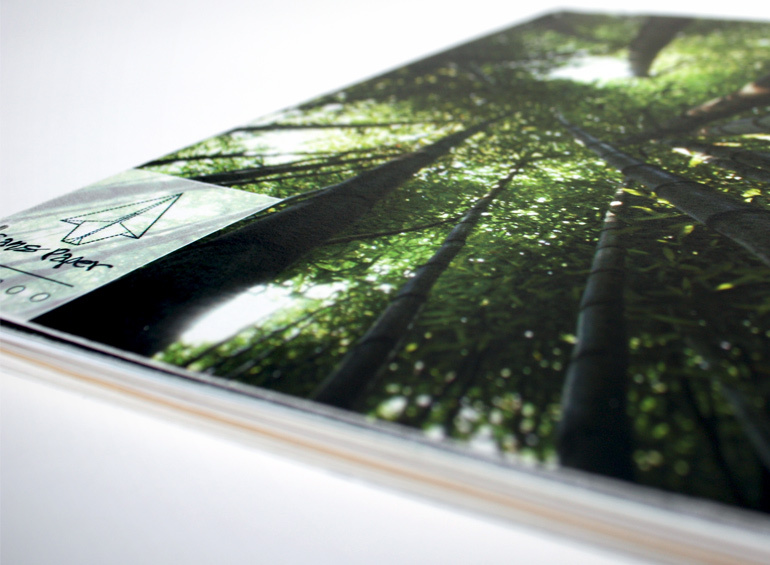 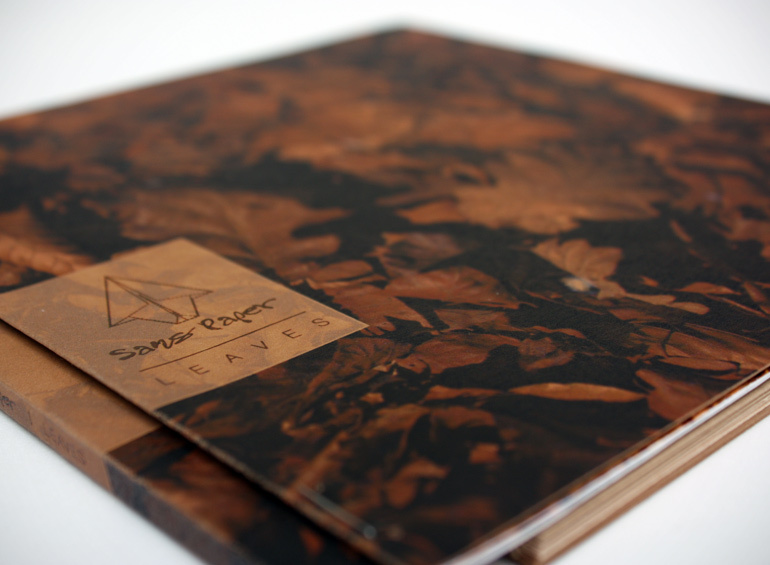 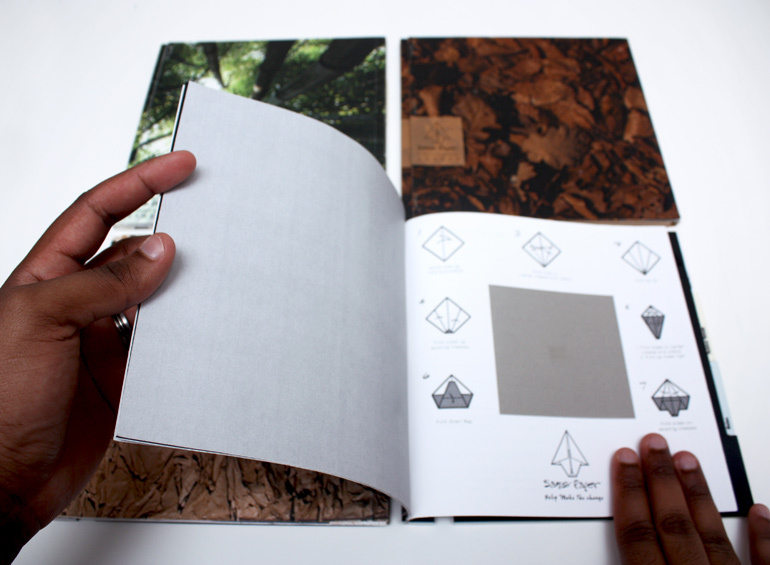 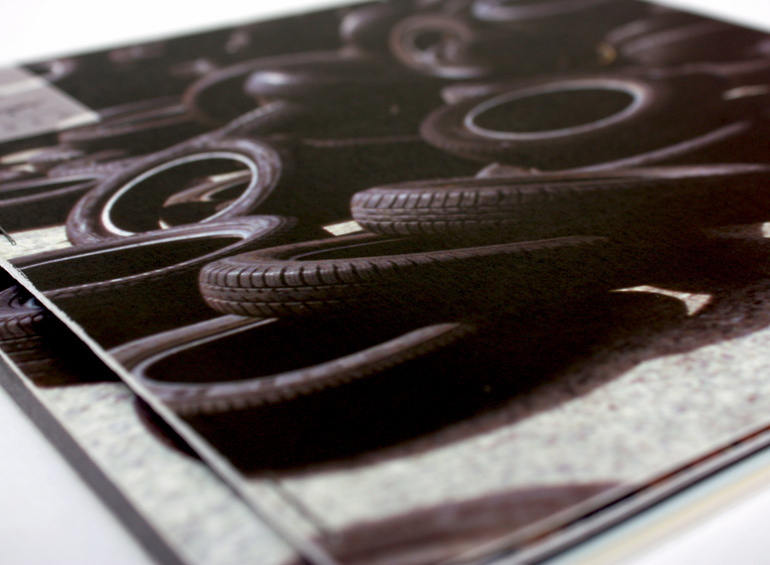 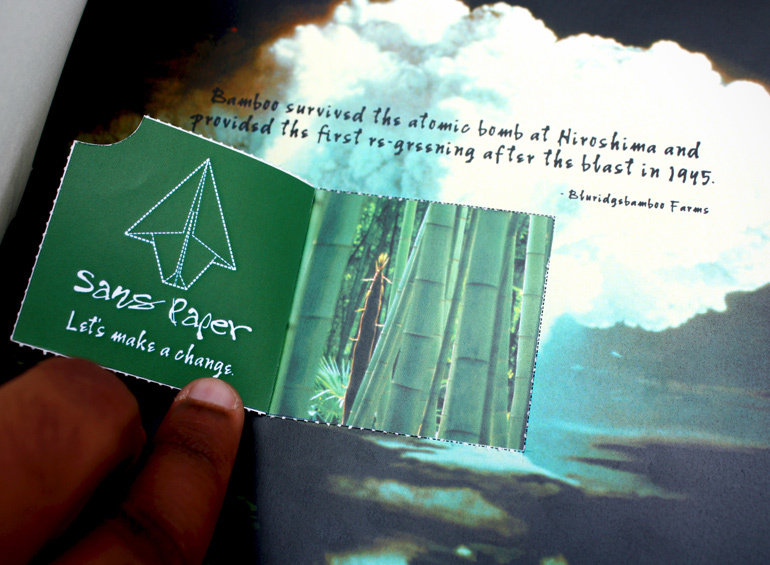 Sans paper is a paper mill which uses post consumer products to create it’s lines of paper. 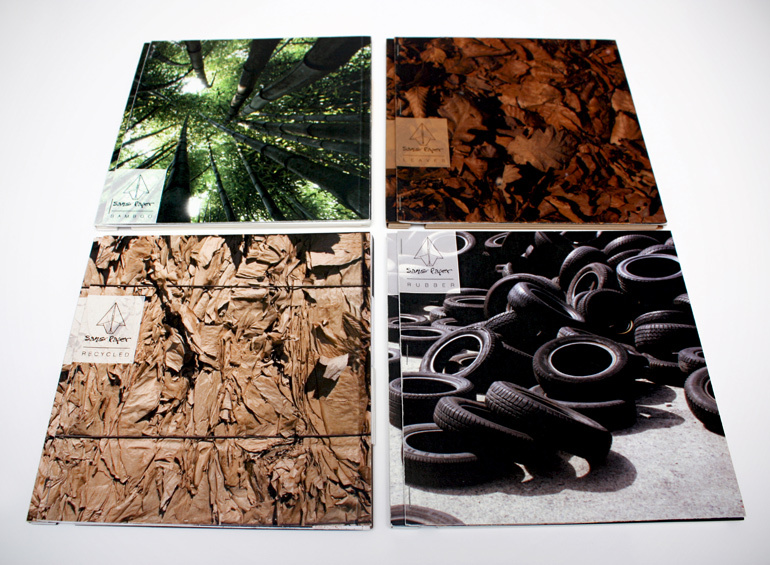 I came up with the tagllne, “Lets make a change”, which focuses on the change your are creating in the environment when you purchase their products since they are all based on post consumer recycled material. 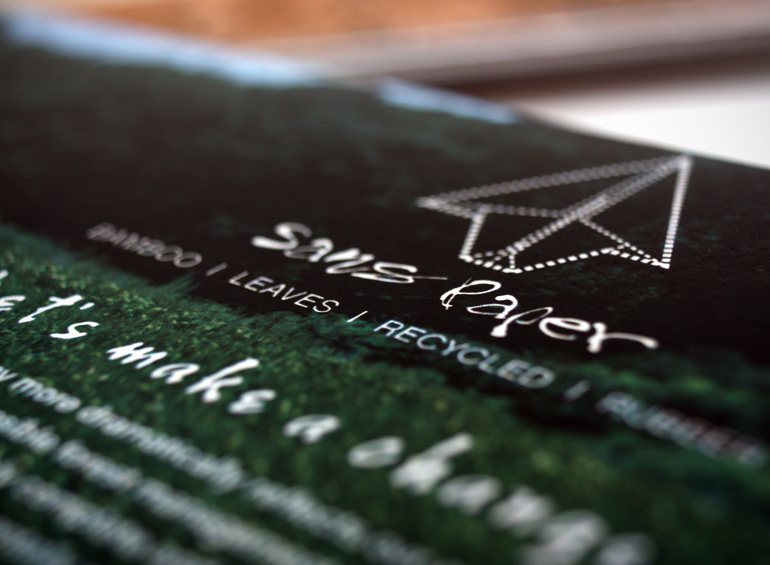 The logo is a direct result of the idea behind “let’s make a change”, by designing a origami paper tree as their logo, it helps the viewer connect building the origami with giving back to the environment. 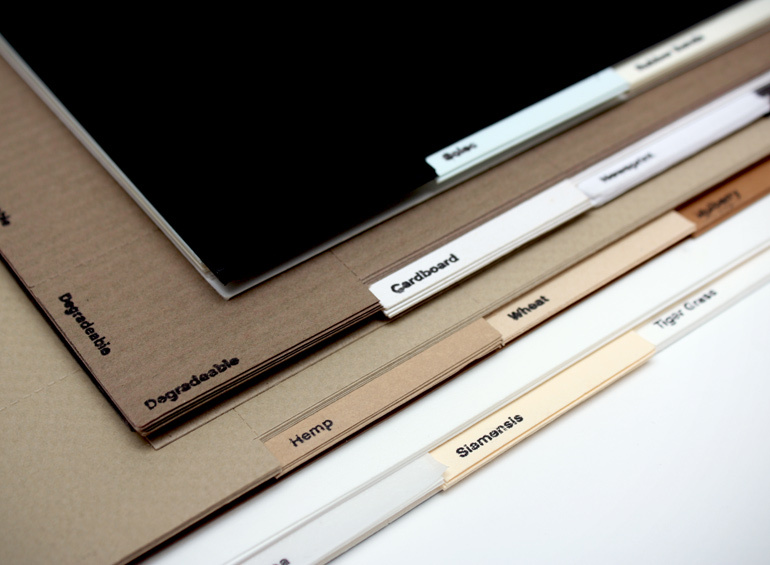 The four catalogs show the different lines of paper and the bi-products from which they are made of. 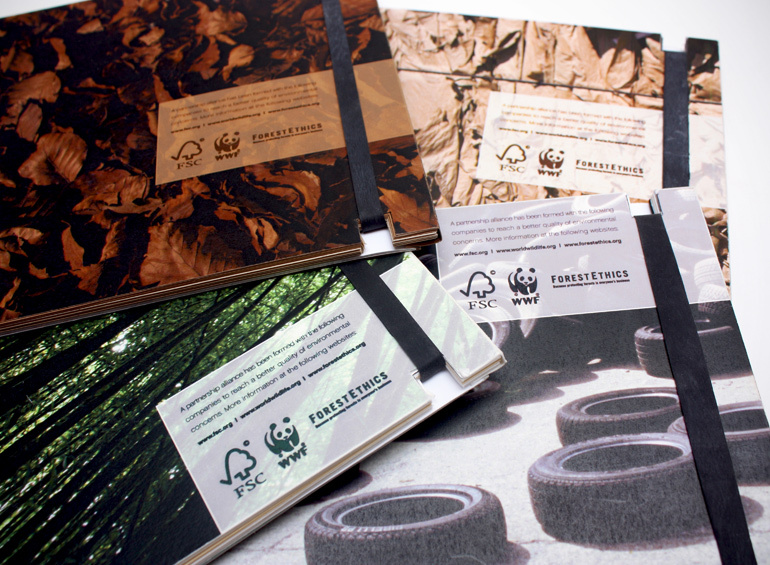 Rubberized Paper: Tires, Bamboo Paper, Bamboo: Craft Paper, Fallen Dead Leaves: Recycled Paper/Post Consumer Materials. 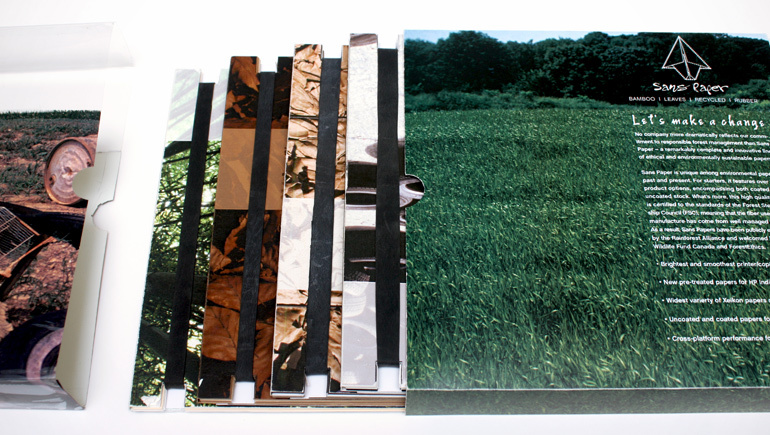 In carrying on with the theme, on the inside pages I decided to show an image which was a result of pollution, on top of that I added a small pullout window in which once you opened the window the problem from the outside was gone by the viewer making the change/opening the window. 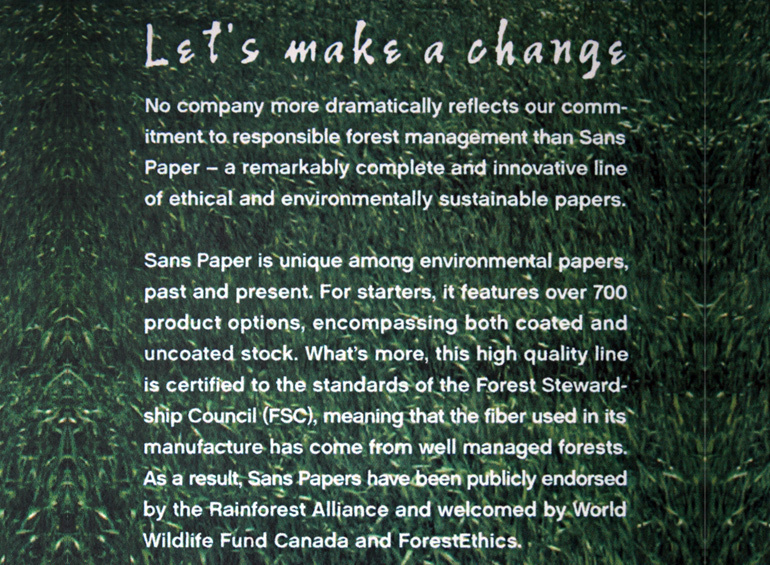 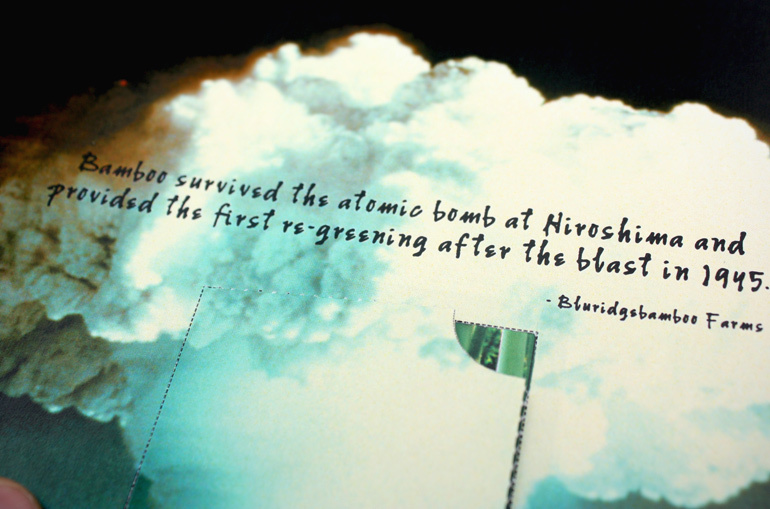 The quotes on the outside images lent itself to the problem being solved by sans paper investing in being green. 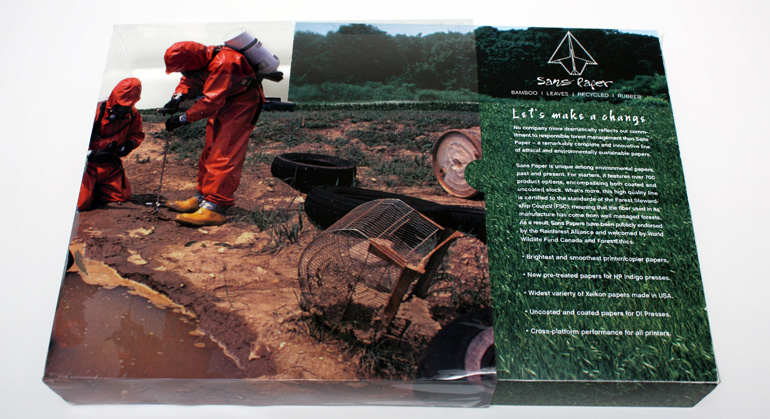 The slip cover was also about making a change. 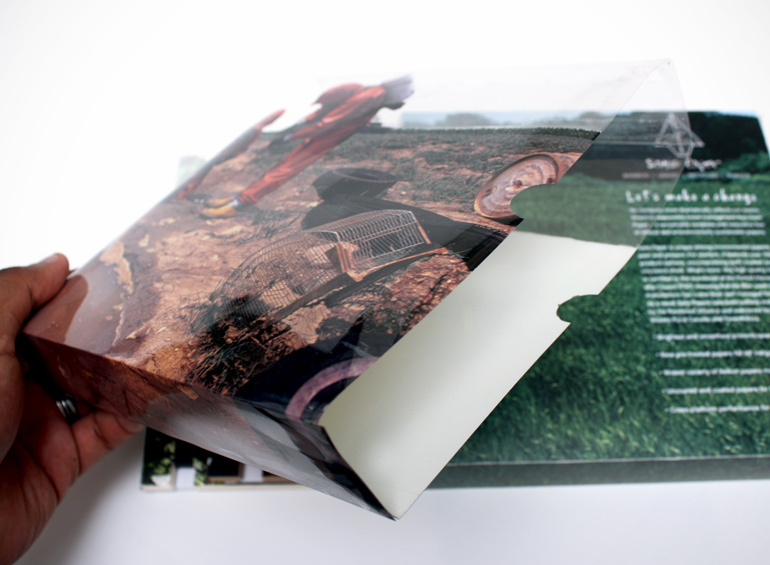 You have two slip covers the holder and the cover, one had a toxic and polluted area (cover) which transformed to a nice clean environment (holder) once you slipped out the toxic environment causing the change.